We are proud to partner with Microsoft Dynamics 365 partners around the globe who help organizations worldwide get the most out of their Microsoft technologies. To locate a ClickDimensions partner in your region, search the directory below. Accendo is a leader in creating effective business solutions with high added value. With over 10 years’ experience and implementations in different industries, Accendo has leveraged Microsoft’s world-class technology to the global market through IT services provisioning and the creation of innovative solutions based on the specific needs of each industry. We want your business to go even further. We offer Microsoft products that ensure, shorten and increase process efficiency. As part of our strategy of geographical expansion and being in close proximity to customers, we are present in more than 20 countries. South America leading provider of business solutions based on Microsoft Dynamics. A Microsoft Gold Certified Partner specialized in providing solutions for Distribution and Logistics, Manufacturing, Customer Relationship Management, Technical Advisory Service, Financial and Accounting Management, Project Management, etc. based on Microsoft Dynamics products and classic Microsoft technologies. Combining Microsoft products with a broad spectrum of services, from application developments and training to improvement in business processes, Axxon Consulting provides solutions that meet business goals set by our customers and offer low total cost and rapid ROI. At Lagash, we have converted the need of each customer into a starting point to create innovative, quality and capable technological solutions to transform a business, bringing the potential of each company to its maximum expression. k.section is Austria’s specialist in the field of full-service CRM service. Based on its extensive product experience as well as a broad certification portfolio, k.section develops customised, high-quality and market-oriented CRM solutions for small and medium-sized companies. Starting with an in-depth consultation during the entire process of generating the CRM initiative, the service portfolio of k.section extends from the implementation of the individual CRM solution to the successful introduction and efficient operation. k.section can thus offer full-service CRM service and fulfils the unique selling proposition on the local CRM market. k.section’s high-quality service is also proved by its status as a Microsoft Gold Certified Partner. NAVAX is an independent system house based in Austria, which optimizes corporate processes and implements business software solutions for national and international companies. Customers with more than 750 projects in more than 100 countries are working with our business solutions in the fields of ERP, CRM, business intelligence, controlling and budgeting, as well as collaboration and mobility. NAVAX is specialized in offering branch-specific as well as cross-industry solutions for SMEs and large enterprises. We are certified partners of Microsoft. NAVAX accompanies the entire introduction process for our customers – starting from the evaluation process through implementation and training to go-live – always with full support by our specialized in-house customer center. We are specialized in business software and software development and help companies to create modern, intuitive and efficient IT landscapes for smooth business processes. We are doing so to enable our customers to concentrate on their core business and on the things that really matter. As a Microsoft Certified Partner, we are making use of our extensive product portfolio consisting of Microsoft Dynamics NAV, Microsoft Dynamics CRM, Microsoft SharePoint, Microsoft Azure, Office 365, our own .net developments, ProAddons and our industry solutions. Visit us on www.provaria.com or on www.proaddon.com. smartpoint is the established Microsoft Gold Partner for Customer Relationship Management and Collaboration and Content in Austria with offices in Vienna and Linz. smartpoint is an innovative consulting and software development firm that focuses on robust business solutions for large corporations. With a proven track record and project experience, smartpoint provides a clear value for their clients in CRM based on Microsoft Dynamics 365/CRM, enterprise content management based on SharePoint/Office 365, workflow solutions with Nintex and K2, and efficient standardized solutions based on SharePoint/Office 365 and Dynamics 365/CRM. “think big – start smart” stands for smartpoint’s ability to provide tangible, profitable and future-oriented results within a short time frame. Infront is the Microsoft Dynamics CRM Centre of Excellence of the Cronos Group. We focus exclusively on Microsoft Dynamics CRM; in fact we were one of the first Belgian partners to gain experience with this powerful CRM application. Infront is ahead regarding the extensive knowledge and unique experience in Microsoft Dynamics CRM resulting in more than 180 implementations at this moment. Net IT is Microsoft Partner Gold Cloud for Customer Relationship Management. We are specialized in customer relationship management solutions for sales, marketing and customer service with Microsoft Dynamics 365. As a full service CRM partner, we take care of the entire lifecycle of CRM implementations for our customers. Our unique and dedicated service desk team provides remote and on-site support, system monitoring and infrastructure maintenance. Net IT has great experience in specific branches such as professional services, local and regional governments and education. Among our greatest strengths are data integrations with Dynamics 365 and integrated solutions for e-mail marketing and event management. Acom has more than 20 years of experience on Microsoft environments. We like to migrate your issues in working solutions in Microsoft.Net, Dynamics CRM or Sharepoint. First step is understanding what you really need. That‘s why we like to talk to our clients. Then we develop your solution in parts. That’s how we make sure the solutions fits your expectations. Once development is ready we take the time to train your users. That’s how we make sure the solutions works. After that we are available for the support you need. That’s how we make sure the solution keeps on working. We help our customers to achieve their Digital Transformation. Admiral Dynamics has a long standing history in marketing, sales & service automation processes. We truly understand that insight in customer experience, use of intelligence and leveraging the appropriate operational tools that ‘do’ what they need to ‘do’ will help drive the long-term sustainable goals of an organisation. Admiral Dynamics assists in defining your prospect-to-cash process through efficient business automation using Microsoft Dynamics 365/CRM, ClickDimensions for marketing automation, mobile and collaboration tools that really make a difference. Ad Ultima Group improves and automate your product development, production and distribution processes end to end. We are the only organisation in Benelux and France that offers the service package that we do. Our advisors will guide you throughout the entire production cycle and process from end to end. We currently focus on the core areas of CAD, PLM, ERP, CRM, BI, e-business, document management, collaboration and infrastructure. Having successfully delivered more than 250 major IT projects, our employees have profound expertise in optimising and automating business processes in three main verticals: manufacturing, building and construction, and complex logistics. Business & Decision is an international Consulting and Systems Integration (CSI) company. It is a leader in Business Intelligence (BI) and Customer Relationship Management (CRM), and a major player in e-Business, Enterprise Information Management (EIM), Enterprise Solutions as well as Management Consulting. Business & Decision contributes to the success of customer projects by driving maximum business performance. The company has a reputation for functional and technological expertise and has forged partnerships with all of the key technology vendors. Located in 16 countries, Business & Decision currently employs 2,500 people worldwide. Cegeka is an independent European IT services provider with branches in Belgium, Germany, France, Italy, the Netherlands, Luxembourg, Austria, Poland, Romania, Slovakia and the Czech Republic. Cegeka provides services for software development for customers across Europe, 24-hour service desk management, coaching for agile transformations, integration of cloud software and omni-channel marketing. 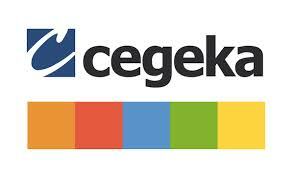 Cegeka Group has over 3500 employees, and is expecting a consolidated turnover of €400m in 2015. Founded in 1999 by Mr. Eric Smet, ESC bvba has organically grown into a trustworthy ICT company consisting of a team of more than 50 enthusiastic employees. ESC delivers carefree ICT services for both non-profit and small- and medium-sized organizations. The ESC group has gained an excellent reputation and certified knowledge. GMI group is an important player in the Belgian MS Dynamics market. GMI group has in-depth knowledge in business management systems, as well as competency and proven expertise, qualifications and skills in the design, deployment and support of the Microsoft Dynamics technology. To better fulfil the CRM needs of her customers and prospects, GMI group joined ClickDimensions in 2015. With a strong focus on individual customers, NORRIQ strives to meet their growing need for 360 degree Microsoft solutions based on close integration of the core ERP system and surrounding systems such as e-­business, CRM, Business Intelligence and collaboration software. The company also offers the necessary operational and maintenance services such as ongoing service, security and hosting. NORRIQ’s strategy is to ensure that any customer, irrespective of size, will benefit from exceptional standards of service. Realdolmen is one of the biggest independent ICT experts in Belgium. With around 1,250 highly trained employees, we provide services to over 1,000 customers in Benelux. We strive to make ICT more personal, to make the most of your employees’ and your organisation’s potential in every collaboration we’re a part of. We do all this with the motto: “To get there, together.” With over 60 skilled CRM consultants, Realdolmen is one of the top CRM partners in Belgium. With a strong focus on technology marketing, Realdolmen can help you get the best out of your CRM solution, ClickDimensions and your marketing activities. Thrives delivers customer success. In the current fast-changing company culture, we support our clients in managing and optimizing their relationships with their customers using Microsoft Dynamics CRM Online and our renowned data services. By bringing our own products and sector–specific solutions on top of Dynamics CRM, our clients drastically reduce their initial investment cost by while ensuring a significantly faster and efficient startup. Tobania provides business and technology solutions for Customer Relationship Management and Marketing Automation in Belgium. Tobania has established a top team of Consultants with a focus on delivering best in class technology. We believe in providing the best cost-effective solutions and are committed to our customers’ success and satisfaction. Our goal is always to understand your business and to guide your deployment from start to finish. Uma empresa de vendas focada em capacitação, utilização de tecnologia de ponta e metodologia para garantir que os processos sejam implementados da melhor forma. Treinamento, metodologia, coaching, marketing, CRM , soluções de colaboração com um só foco: fazer com que sua empresa venda mais. A IMAGO é uma empresa de tecnologia com foco em soluções de Cloud Computing e, junto com nossos parceiros, levamos para o mercado soluções que reduzem custos, otimizam o tempo e aumentam a produtividade nas empresas. Com uma equipe de consultores e especialistas certificados, a IMAGO está preparada para ajudar a alavancar de vez o seu negócio. Devidamente qualificada pela Microsoft como parceiro GOLD para venda e implantação do Microsoft Dynamics CRM, A L3 CM é uma consultoria em CRM, que oferece soluções completas para a gestão de vendas e de relacionamento de empresas e governos com todos os seus públicos, tais como: Clientes, Colaboradores e Fornecedores. Destaca-se no mercado por sua visão estratégica e alta capacidade de implementação de processos e ferramentas. As soluções desenvolvidas pela L3 CRM, contemplam: Consultoria, Tecnologia, Treinamento e Suporte. E baseiam-se em três principais pilares: Processos (Consultoria de negócios), Pessoas (Treinamento, suporte e conteúdo) e Ferramentas (Implantação de sistemas para automação dos processos). Nascida em 2003, em Milan – Itália, PentaLab é uma empresa jovem e dinâmica criada por um grupo de profissionais com muitos anos de experiência em empresas italianas e estrangeiras. Em 2012 Pentalab abre sua primeira sede no Brasil – Fortaleza, oferecendo às empresas do Nordeste um novo parceiro para desenvolver soluções próprias de gestão baseadas no Microsoft Dynamics CRM. Sempre em estreita parceria com a Microsoft (Microsoft Certified Partner), PentaLab garante seu elevado nível de preparação e conhecimento de plataformas e aplicativos, enriquecendo constantemente seu conhecimento profissional através de uma partilha total de Know-how e experiência setorial. A Tulus é uma empresa focada no resultado de seus clientes, aliamos as melhores práticas de gestão com as soluções de negócio e produtividade da Microsoft. Desta forma desenvolvemos os indicadores necessários para os gestores para que tenham uma visão 360º de sua empresa ou departamento e assim consigam tomar decisões mais ágeis e certas. FTS Bulgaria is an experienced Microsoft partner in Central and Eastern Europe that combines delivering innovative and complete IT business solutions with passion for excellence. The company provides comprehensive competencies in ERP, CRM, BI, ECM and marketing automation. Together with our customers, we realize holistic IT solutions to best optimize their business processes. Our core strength is delivering end-to-end IT solutions that incorporate the best industry practices but localized and adapted for the country specifics. Innexys is a dynamic consulting company with a focus on providing a complete suite of end-to-end business solutions. Our team consists of experienced professionals who have successfully led and implemented complex business projects worldwide. Innexys’ think-big mentality combined with our human-centric credo is why our clients choose us as their trusted adviser. Innexys’ solution for sales and marketing empowers companies to adopt a customer relationship management (CRM) strategy that optimizes revenue streams, increases profitability and improves customer loyalty. CRM software and technology supports this strategy and, together with the right stack of consulting services, can provide a complete solution for sales and marketing from lead to cash. Intelligent Systems is an international consultancy company delivering business software projects to local and multi-country organizations. We are the leading Microsoft Dynamics partner in Central and Eastern Europe (2016) and part of the Inner Circle – the highest recognition given to only few out of more than 10 000 Microsoft Dynamics Partners worldwide. We are focused on delivering international IT projects for retail, manufacturing, automotive, transportation and logistics companies throughout the world. Based on our expertise, we have developed customized industry solutions to help our customers get the most out of their IT investments. Team VISION Bulgaria is a leading Bulgarian consultancy company with extensive expertise in delivering comprehensive ERP, CRM and BI solutions for business management. With more than 100 successfully completed projects for leading Bulgarian and international companies, we take pride in being the only Microsoft partner in Bulgaria to have achieved a recorded 100% customer satisfaction index for our offered solutions and services. In our work, we strive to be not just a vendor to our clients but also a trusted partner, helping them optimize their business processes, and achieve their business goals and vision. CRM Dynamics is based in the Toronto, Canada area and has enjoyed 20 years of serving mid to large enterprise companies in Canada, USA and Caribbean. They are an active Gold certified partner of Microsoft. They have 100’s of successful projects for Microsoft Dynamics CRM and Great Plains. They are different than most Dynamics CRM partners as they have assembled not only strong technical programmers and CRM consultants, they also offer to their clients business, sales and marketing experts to help their customers achieve their CRM goals and positive ROI. Customers choose CRM Dynamics Ltd. when they want more than merely software. Some of the areas they have helped clients include: More effective business development process and systems, Sales and Marketing integration, Web and social selling, Lead generation and conversion, Pipeline management, More accurate forecasting, 365 degree view of a customer, vendor, member and partner relationships, Member management solutions, portals, Quoting and configuration, Case management, hosted low cost CRM. Gestisoft, a bilingual (English/French) Montreal-based CRM & ERP Integrator, provides business solutions that give control to your management team with accurate information in real time on all of your operations. With Gestisoft, you get a solution to the true measure of your company and your people. We produce superior results for your business today, tomorrow and over the growth and evolution of your business. Your Dynamics CRM solution should meet your business needs today and tomorrow. Set and forget just doesn’t work in business these days. At pavliks.com we make sure your solution is configured to provide adaptability for your future. pavliks.com specializes in Custom xRM solutions for sports and entertainment, healthcare and associations with member management needs. Tie in The Portal Connector and you have a winning solution. Looking to upgrade your Dynamics CRM deployment? Our proven four-step process ensures your business processes and data move smoothly to a modern platform. Founded in 2008 in Montreal, XRM Vision is a human-sized CRM consulting firm driven by expertise and commitment. We specialize ourselves in creating and implementing Customer Relationship Management solutions, powered by the Microsoft Dynamics 365 universe. We provide guidance to sales, marketing and customer service professionals enabling them to unleash the power of the processes and solutions we deliver, all the while focusing all their efforts on crafting an exceptional client experience. From your customer’s journey definition to your full CRM implementation, we’ll strive to help you boost your productivity, improve your customer retention and spark your growth. Betach Solutions is a gold-certified Microsoft partner helping customers empower their business with the most innovative technologies and solutions to simplify, streamline and improve their operations and environments as they make their move to the cloud. As one of the first cloud service providers in Canada, Betach is a management and information systems and technology consulting leader with a focus on Microsoft Online Services and proven expertise in driving results for our clients. 360 Visibility is a Toronto-based Microsoft technology solutions provider assisting clients around the globe. We are dedicated to enabling medium to enterprise and government organizations to make swift, well-informed and profitable business decisions. 360 Visibility provides organizations with Enterprise Resource Planning software (ERP), Customer Relationship Management software (CRM) and robust cloud infrastructure technology, leveraging Microsoft Dynamics and Azure to deliver solutions that address specific customer challenges. Each solution is meticulously designed using our Business Impact Assessment (BIA) approach to ensure your current and future needs are addressed, allowing you to effectively pilot your business, capitalize on opportunities and avoid pitfalls. Leading Canadian IT company ACCEO Solutions specializes in the design, implementation and integration of, and support for, management software, e-business development and payment, professional, and technical services. We also offer expert technical, consulting and payment solutions services. ACCEO Solutions’ clientele consists of SMBs, medium and large businesses, municipalities and financial institutions. ACCEO, which is currently experiencing an active growth phase, boasts nearly 1,000 employees and approximately 60,000 clients. Adoxio is a Microsoft Gold partner in Cloud Customer Relationship Management, Customer Relationship Management and Application Development. We also serve on the Microsoft Public Sector Partner Advisory Council and are a Microsoft CityNext Partner. 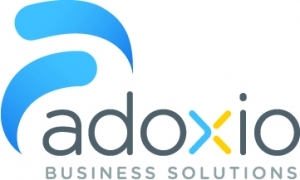 Leveraging our extensive background in Microsoft Dynamics CRM, Adoxio continues the tradition of excellence in the provision of powerful and cost-effective business solutions based on Microsoft Dynamics 365. A Hundred Answers (AHA) is a Management Consulting and Systems Integration firm that provides broad business management services and solutions. Our Management Consulting approach is the key to our success as we partner with CxO’s (where x represents E, F, I, M, O,…) to provide specialized expertise, insight and access to business solutions in order to improve business performance. As a Gold Certified member of the Microsoft Partner Channel, AHA specializes in MS Dynamics CRM (Case & Grants Management and 311 Services), Business Intelligence and Analytics (Health) and Web-Channel Services (Federal Government). Analog IT Ltd is a full services cloud enablement company, helping our customers transition to the cloud, manage hybrid deployments and leverage the benefits of the cloud. Our focus is helping our customers increase productivity, realize cost savings and gain a competitive edge using cloud solutions. We are a Microsoft Dynamics CRM partner specializing in customizing the deployment to cater to our customers’ business processes and needs. Since 2010, Armour Technology Solutions has been designing and developing custom technology solutions for business in and around Simcoe County. The size and the scope of these solutions varies, but they typically develop around the following common objectives: efficiency gains or productivity improvement, improved customer relations and enhanced information management. Our services include, but are not limited to: IT and network support, custom programming, web and mobile application development, Microsoft Sharepoint solutions, Microsoft Dynamics CRM Solutions, and Microsoft Office 365. Armour’s team of talented programmers, technicians and business specialists can help your business. Atum delivers Microsoft Dynamics CRM 2013 to companies across a variety of industries. We understand that every business has its own unique challenges. Our team of CRM Specialists will work with you to understand how you define success, what’s important to your business, and create a tailored solution for your CRM implementation. Our goal is to help you improve your business processes so that you can run your business more efficiently allowing you to focus on the most important part of your business – your customers. Briware Solutions is a reseller of Microsoft Business Application products that is focused on helping growing businesses get the most out of their business systems investments. From Office 365 to accounting to sales and marketing – and everything in between – Briware Solutions can provide the right tools and guidance to help your business grow. Known for their knowledgeable and down to earth approach, the Briware Solutions Team focuses on applying clever solutions to business problems in order to achieve maximum efficiency for your business. Catapult is the premier provider of managed services and long-term support for our clients’ Microsoft Dynamics NAV (Navision) and CRM systems. Through our proactive support framework, our customers achieve consistently higher levels of performance even as their businesses’ needs grow and change. It’s about lean processes, reliable data and better decisions. The Createch Group is a consulting service firm specialized in operational performance improvement as well as in the integration of business management systems. As a Canadian leader in business transformation, their mission is to significantly improve the profitability of clients through the optimization of processes and the implementation of word-class software solutions. DANSLENUAGE.QUEBEC inc. offers an innovative concept by being the first Valued Add Cloud Reseller in Quebec. There is a wide range of cloud services available on the market and the complexity of the services makes it hard to find the proper solution to match business needs. That is why a Valued Add Cloud reseller is useful. We act as an intermediary for companies wishing to acquire cloud services by identifying with them the most effective and economical solutions to meet their actual needs. As a specialized Cloud Reseller, we have access to the widest range of services available on the market by the largest service providers. Dominic Systems is a Microsoft Dynamics CRM specialist consulting firm. We do one thing and we do it well – implement CRM for small to medium enterprises. Our particular areas of expertise include Integrating CRM to ERP (SYSPRO, NAV, SAP, GP, etc.) and Change Management to Maximise the Returns and Minimise the Risks of your CRM Project. Endeavour Solutions, Inc. is a Microsoft Gold ERP Competent Partner focusing on development, implementation, support and training for Dynamics GP and Dynamics CRM. We are one of the top Microsoft Dynamics partners in Canada and a President’s Club Member. Endeavour Solutions was founded in 1989 and has more than 300 active clients. Endeavour brings deep understanding of business issues and how Microsoft technologies can be used. The Endeavour process always starts with listening and fully understanding before making recommendations for change. This process leads to higher user adoption and customer satisfaction with retention rates of 98%. ITK is a silver certified D365 Customer Engagement implementation partner providing full life cycle services, from helping clients with establishing their vision and roadmap for IT investments through the design and implementation of business-changing digital services to ongoing managed services. We have a full range of clients including deep experience in the real estate and financial industries, working with regulatory organizations, and in the not-for-profit sector. JOVACO Solutions is a full-service Value-Added Reseller for Microsoft Dynamics 365 (CRM) and Microsoft Dynamics GP. With more than 30 years of experience, JOVACO offers all the services required for the implementation and maintenance of your management solution, from the initial installation to post-implementation training. JOVACO is also an Independent Software Vendor and has developed a project accounting solution for professional service firms. This modular solution automates the management of your projects with integrated timesheets, detailed resource planning and flexible project-based reports. Marketing CoPilot is an award-winning, inbound marketing agency certified on ClickDimensions. They help B2B companies in the technology, services and manufacturing sectors be more competitive and better positioned online to improve lead management for sales teams. Over the last 15 years, theMarketing CoPilot Methodology has helped hundreds of companies turn their websites into lead generation and sales machines and achieve digital transformation of their marketing function. Founder Marie Wiese addresses digital transformation in her latest book, You Can’t Be Everywhere, which won a Gold Medal in the 2017 International Stevie Awards for Best Business Book of the Year. Delivering Business Insights To Empower Mid-Market. Negotium is unique in its offering of a full and complete Microsoft environment to the mid-market which includes management solutions, productivity and infrastructure solutions, and managed services. With its team of industry experts highly knowledgeable with the entire Microsoft offering as well as a wide range of technological solutions, Negotium implements solutions based on the end-user, processes and technology. What sets them apart, however, are their complementary products and technologies that create the Negotium 365 Ecosystem. Prophet Business Group specializes in Microsoft Dynamics GP accounting software, Microsoft Dynamics CRM and information technology solutions. We are a team of business system consultants specializing in implementing and integrating business management software and financial services solutions using Microsoft Dynamics GP accounting software, Microsoft Dynamics CRM as well as authorized hardware and software solutions from vendors such as Microsoft, IBM, Lenovo, Hewlett-Packard, and Lexmark. TGO Consulting provides innovative business solutions designed to improve the productivity and performance of business units across your organization. Since 1988, TGO has been an award winning industry leader in helping medium and large sized organizations streamline and improve their business processes through the use of Microsoft technologies. Vertical Lift Business Solutions Inc.
Vertical Lift BSI provides a complete range of professional services dedicated specifically to Microsoft Dynamics 365/CRM and the vast network of tools and applications that support it. Our team of veteran Microsoft Certified Professionals have been successfully delivering complex business solutions to mid-market and enterprise clients for over 15 years. We guarantee our work with no surprises and we take pride in delivering projects that exceed your expectations – on time and on budget. Vokeso is a certified Microsoft business solutions VAR for Dynamics NAV and Dynamics CRM. Vokeso has been operating for over 15 years in the ERP industry and has been involved in a multitude of successful deployments. Concerned with its customers’ wellbeing, counting on a seasoned team driven by passion and a vision of total commitment to quality, Vokeso delivers your solution on-time and within budget. As a market leader in providing Microsoft Dynamics solutions for more than 10 years, AlfaPeople has expanded its operations to 16 countries worldwide with more than 550 employees. AlfaPeople offers a range of Microsoft business solutions such as Dynamics AX and Dynamics CRM for relationship management and business intelligence. As one of the largest partners in Microsoft Dynamics, AlfaPeople offers excellent customer service to ensure that the requirements of customers are met. Our teams combine business and technical knowledge with industry experience, providing excellent results for organizations that intend to take the next step in updating their technology solutions. We are living the CRM philosophy, so we are not only selling and deploying our solutions, we are using it together with our customers and improving it every day. The personalization of each customer and the power to understand and to create solutions according to specific requirements provide unlimited opportunities for our happy customers to be focused on their clients, not processes. InSky solutions has broad market potential and is helping different customers with their unique needs. Instead of expensive and complicated software, InSky is making very simple but complex business solution developed on trusted and accepted Microsoft products. Span was founded in 1993 and is the oldest Croatian Microsoft Certified Solution Provider. Span is one of the most successful IT companies in Croatia with more than one million users worldwide, a team of over 350 professionals and 13 Microsoft Competencies, of which 12 are Gold. Our CRM team is highly specialized in implementation of Customer Relationship Management systems in various industries across Europe. Proof of our expertise is the highest number of certified consultants and developers in Croatia and the region, with extensive business acumen and technical experience. Besides delivering Dynamics CRM implementations, we did numerous CRM strategy projects, bringing added value for our clients by combining theoretical and technical CRM knowledge. Dot.Cy, a Microsoft Gold Partner in Dynamics CRM, was founded in 1999. Since then, Dot.Cy has been providing business solutions in Cyprus and the Middle East using Microsoft platforms and technologies. Headquartered in Nicosia, Cyprus, and with a regional office in Dubai, UAE, Dot.Cy is one of the leading providers of Dynamics CRM and xRM based solutions in the region, serving the CRM needs of some of the most prestigious organizations. Amongst other verticals, Dot.Cy’s business solutions cover industries such as: financial services, insurance, telecommunications, hospitality, travel and leisure, professional services and real estate. Dot.Cy is a global ClickDimensions partner. CDL SYSTEM a.s. provides consulting and implementation of ERP and CRM solutions for Microsoft Dynamics. Customers with more than 130 projects in more than 15 countries are working with our business solutions in ERP, CRM and business intelligence. Our customers are national and international companies. We are a certified partner of Microsoft (gold and silver competencies). CDL SYSTEM has been a member of IT holding Solitea, which is one of the leading suppliers of ERP systems in the Central European region and the Balkans..
CReativeMages is company oriented on Cloud offering mainly on Microsoft Dynamics CRM and on Office 365. We provide small and mid-size implementations. Young group of people, happy to help you with your needs. Dynamica provides customers with every support they need to increase their competitive strength and cut costs by implementing sophisticated information management solutions. Our solutions are based on properly selected and implemented Microsoft products, particularly of the Microsoft Dynamics product line. Main activities the Dynamica Company specializes in are related with the supply of information systems and CRM systems and subsequent system users’ support. Our team of specialists combines people experienced in managing large and complex implementation projects, analysts and information system solution architects, certified consultants, programmers as well as expert technicians. Our desire is to supply and develop complex solutions that cover all major enterprise processes and integrate the information coming from different sources into a single, well-arranged and functional structure to allow reliable management of enterprise business processes. IMMAGO SOFTWARE specializes in MS Dynamics CRM Online solutions for small and medium businesses. Our online starter-kit allows for immediate deployment at a low investment, and includes add-ons developed by ourselves that cover most of the customizations SMBs usually require, thus reducing costs even further and simplifying the implementation process. We also provide non-stop assistance and in-depth training for our customers, enabling them to effectively and rapidly exploit all the benefits of their CRM system. The organization of your company’s sales, customer service and marketing processes has never been so easy and efficient. Innovation One is a team of Dynamics 365 and Microsoft cloud solutions specialists, with many years of experience as the MS Cloud Solution Provider for small and midmarket cloud solutions. We provide control of company processes and manage digital transformation in medium and large companies. We can also build solutions for the whole range of marketing, business and manufacturing processes. ClickDimensions is our number one choice for email marketing, campaign automation and customer service. We have years of experience from small to large multi-language environments implementations using ClickDimensions features. ClickDimensions helps both us and our customers stay on the path of constant innovation. LLP CRM provides consulting and implementation services in the area of customer relationship management and specializes in Microsoft Dynamics 365 and Pivotal solutions. LLP CRM holds the Microsoft Silver Cloud CRM Partner competency and is the Microsoft Awards winner for CRM projects in 2018, 2016 and 2015 in the Czech Republic. We have implemented projects in over 15 countries worldwide. Our clients include Skanska, HBO, O2 Czech Republic, Raiffeisenbank, Whirlpool, LMC, Konica Minolta, etc. LLP CRM is a member of LLP Group with access to 25 years’ international consulting experience. WEBCOM provides complex ERP and CRM solutions for Microsoft Dynamics, which certified us for Gold and Silver competences. We serve customers like BMW, CPI Property Group, Ford, Military University Hospital Prague, Mountfield, Sodexo, Tesla, Wikow and VW Group, who deserve a unique approach and consultants who are the top of the field. We have long figured among the TOP 60 global companies (Microsoft Dynamics Inner Circle Club) and the TOP 3 Microsoft Dynamics solution providers in Central and Eastern Europe. Our solutions are used along EMEA and APAC regions for automotive, chemistry, development, financial groups, government, machinery, retail, health and other industries. 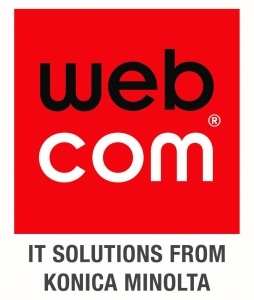 WEBCOM has been a member of the Konica Minolta Group since 2015. AlfaPeople is one of the largest Microsoft Dynamic partners in the world with more than 400 employees in 14 countries focused on Microsoft Dynamics AX and CRM. Our clients demand a strong business solution, industry-specific functionality and our creativity to make their solution a perfect fit and a competitive advantage. We deliver these solutions and support our clients worldwide. We have extensive expertise and our dedicated consultants and developers are accredited Microsoft Dynamics users. We are one of the top 10 Dynamics partners worldwide and are recognised members of the Inner Circle 2014 for Microsoft Dynamics and the President’s club for Microsoft since 2005. Hos Massive Dynamics arbejder vi sammen med vores kunder om at skabe succes med CRM – vores kunder er både B2B og B2C virksomheder som bruger Dynamics CRM både til klassisk CRM men også til specifikke løsninger. Consultancy for Microsoft Dynamics CRM & NAV Abakion is among the top ten Microsoft Dynamics partners of Denmark. We specialize in Microsoft CRM (Customer Relation Management) and Dynamics NAV and offer development and implementation of business solutions to medium-sized companies. NORRIQ works with IT-solution development and sales. By focusing 100% on the individual customer’s requirements NORRIQ’s goal is to meet customers’ growing need for 360° Microsoft solutions based on a thorough integration of the central ERP system and the surrounding systems such as e-Business, CRM, Business Intelligence and SharePoint. NORRIQ also provides all the operational and maintenance services our customers require, including periodic servicing, security and hosting. Bredana Systems A / S helps Danish companies to efficiently and effectively, using Microsoft-based IT solutions, and is among the largest single-source suppliers of Microsoft Dynamics based solutions to enterprise management. We are among Denmark’s 10 largest Dynamics partner and the only Dynamics partner that can provide customers with an objective choice between all platforms Dynamics. C2 Relations are constantly working to make it as simple as possible, to streamline your business and get success with CRM. That is precisely why we have chosen to focus solely on Microsoft Dynamics CRM. With years of experience in sales companies, we can offer your business competent business sparring. We know how we can ensure that your business get a Sales- and Marketingsolution, which provides a high ROI (quick recovery value). Cenvation er en sammentrækning af Customer Centricity og Innovation. Vi er en kundeorienteret virksomhed, der leverer innovative IT løsninger til den finansielle sektor og medlems- og kundeorienterede organisationer og virksomheder. Vi tror på specialisering, og derfor er vores løsninger bygget op omkring dyb viden og erfaring om få udvalgte brancher. Vores løsninger er baseret på markedets bedste platform Microsoft Dynamics CRM, og kombineret med Cenvations egenudviklede branchespecifike add-ons. Har du brug for en sparringspartner, der kan rådgive og sparre med jeres organisation om netop jeres forretning og de deraf affødte CRM behov? Har I behov for at få talt jeres organisation, processer og forretning igennem, med konsulenter der kan sætte sig ind i jeres forretning og behov, før vi starter med at installere ”bits and bytes”. Så er Cliento måske noget for jer! Vi er et IT konsulenthus, med fokus på forretningen og på at skabe de CRM løsninger, der understøtter og udvikler netop din forretning. Cloudsystems ApS er en dansk online virksomhed med fokus på forretningsudvikling, procesoptimering, samt implementering af Customer Relationship Management og Office 365. Vi kan som en af de eneste leverandører, med 100% fokus på Microsoft Online, tilbyde uvildig rådgivning i forbindelse med beslutningen omkring design, implementering og drift af din Online løsninger. With solid industry know-how, Columbus is a preferred business partner for ambitious companies. Columbus’ key deliverables include flexible and future-safe ERP, CRM, BI and related business applications that deliver competitive advantage. We know how to adapt and implement our proven Microsoft-based solution sets to maximize efficiency and overall business performance – for immediate impact. Exceeding 20 years of experience and 6,000 successful implementations, Columbus currently employs over 1,000 dedicated staff working out of 38 offices in 18 countries. Delegate specializes in the development and deployment of IT solutions for communications, from idea to implementation. With focus and specialization on Microsoft SharePoint and Microsoft Dynamics CRM, Delegate offers the most experienced SharePoint and CRM specialists in Denmark. They have experience in planning of infrastructure, to the preparation of complex adjustments of SharePoint and CRM for customer’s specific needs. With the status of Microsoft Gold Certified Partner, Delegate has demonstrated their competence in Microsoft technologies and proven ability to meet customer requirements. Hos Dynateam har vi ikke kun fokus med standard Microsoft CRM løsninger, men også løsninger, der tager højde for branchespecifikke udfordringer og firmaspecifikke krav samt samspillet mellem Mirosoft Dynamics CRM og Dynamics NAV. I Dynateam fokuserer vi benhårdt på at lære og forstå lige netop din salgsværdikæde, jeres processer og de aktiviteter, der skaber mest værdi for jeres forretning. Når vi har gjort det, kan vi fortælle Jer, hvordan man som virksomhed forankrer disse i Microsoft Dynamics CRM. Så kan vi sammen bringe jer videre og skabe mere værdi for jeres forretning. EG’s position as one of the leading IT service companies in Scandinavia is built on close relationships with our customers, industry knowledge and solid IT skills. EG is Europe’s strongest Dynamics 365 partner, with the market’s best Dynamics 365 consultants. Our consultants are specialists in various sectors, such as production and logistics, trade and utilities. 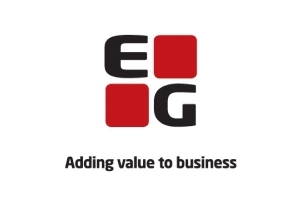 EG has existed since 1977 and with over 1,800 employees today in around 30 offices in Scandinavia, we combine local presence with a global knowledge. For A Fact har arbejdet med Marketing løsninger til Microsoft Dynamics CRM siden 2008 og rådgiver virksomheder om deres strategi og forretningsprocesser omkring Marketing & CRM. De første i Danmark der blev certificeret i ClickDimensions. MicroPartner is focused on business development, process optimization, and implementation of Customer Relationship Management (CRM). We offer impartial advice in deciding on the design, implementation and operation of your CRM solution. At MicroPartner, we are experienced, competent and professional. We base our projects on the best solutions, and we are a strong choice of partner for the implementation of Microsoft CRM. Netcompany is a major Microsoft partner across the entire Dynamics portfolio with several prizes from Microsoft and the industry in general. In Denmark, we are the largest Dynamics partner, with hundreds of successful delivers across all products. We help customers in all aspects of the Dynamics applications, from consulting and early analysis, through implementation, extension, hosting, operational support, education, process optimization etc. We have helped global companies and major public organizations to successful implementations of CRM across a multitude of business domains and industries. Uden det rette værktøj mister mange virksomheder hurtigt overblik over kundedata. Nordic Computer er Microsoft Dynamics CRM og ClickDimensions partner og hjælper med at skabe overblik over dine kundedata og sammenhæng mellem dine salgs- og marketingprocesser. Vores CRM afdeling har mange års erfaring inden for rådgivning, salg, implementering, support og uddannelse i Microsoft Dynamics CRM og ClickDimensions og bliver hermed en god sparringspartner for din virksomhed. ProActive is a Danish IT Consulting Company founded in 1997. ProActive currently employs around 100 people and is based in Denmark with headquarters in Copenhagen and branches in Aarhus, Aalborg and Odense strategically located to serve customers all over the country. ProActive is a leading Microsoft partner in the fields of SharePoint, Office 365 and Dynamics CRM. ProActive provides IT consulting services and solutions focusing on process efficiency, knowledge sharing, communication and collaboration based on Microsoft standard software platforms. Migr8: The only migration tool available that is provided as a fixed price service regardless of database size. Relevant for CRM OnPrem customers who are considering the move to Dynamics 365 online. Read more at www.Migr8.online. Duplicate Detection: Say no to duplicates. Prevent creation of duplicates, define bespoke rules to de-duplicate, auto merge multiple records all at once with build-in merge logic. Read more at www.duplicate-detection.com. Valcore is among the top 5% Dynamics Partners in the World. We have specialized in Microsoft Dynamics CRM online with a strong focus on Sales Force Automation. We deliver packaged- or customized solutions for SMB and Enterprise Market in both small and large scale. We engage in long term relationships with our clients to maintain high user adaption and ensure ongoing system optimization. Vivant er en af de eneste Danske Microsoft Dynamics CRM partnere der har et dedikeret fokus på Marketing. Vi hjælper jeres virksomhed til at optimere sammenhængen mellem Salg og Marketing i jeres CRM system. Vi rådgiver omkring Marketings løsninger der kan supporteres af jeres CRM system, blandt andet automatiske processer der sikre en 1:1 dialog med jeres kunder. C-ven Technologies is a consulting business specialized in cloud, dedicated to provide integrated technological solutions for business management, based on Microsoft tools (Office 365, Dynamics 365, Azure), to small and medium enterprises in the Dominican Republic and Puerto Rico. We have successful implementations of our verticals in Dynamics 365 in the banking, insurance and education sector. Customer satisfaction is our main objective, and with the use of powerful tools like ClickDimensions, we are constantly developing new solutions that meet the needs of the business sector. Columbus is a global IT consultancy company offering business IT solutions to the food, retail and manufacturing industries, based on the industry-leading Microsoft Dynamics platform. Our industry focus means that we possess and continuously develop deep knowledge about the industry processes, needs and wants. Our consultants, in addition to having deep technical skills, work daily to develop and apply their business process knowledge and expertise – hands-on and in real life – adding value to both themselves and our customers. Accountor Enterprise Solutions is a leading Microsoft Dynamics 365 and NetSuite expert both in Finland and internationally. Accountor Enterprise’s core expertise is in CRM including sales and marketing, customer and field service. In addition, Accountor Enterprise excels in operations management covering ERP, project services, financial administration and self-service business intelligence. Accountor Enterprise also helps its customers with business model innovation. Our core business is to deliver business development to our customers with Microsoft Dynamics CRM, Power BI, Data Analytics and ClickDimensions systems. We help our customers generate growth and profit by utilizing possibilities linked with markets, people, customer processes and technologies. Our efficient deployment and solutions are fitted to the needs of our customers in all sizes and across all industries. Our ability to create value is based on our strong business-oriented mindset. Our team is a combination of professionals from fields of strategy, management, marketing, sales and commercialization together with passionate developers. Founded in 1976, CGI is one of the largest IT and business process services providers in the world. Operating in hundreds of locations across the globe, CGI helps clients become customer-centric digital organizations. We deliver high-quality business and IT consulting, systems integration and transformational outsourcing services to support clients in transforming into digital enterprises end to end. CGI works with clients around the world through a unique client proximity and best-fit global delivery model to accelerate their digital transformation, ensure on-time, within budget delivery, and drive competitive advantage in today’s increasingly digital world. Cloudriven is an agile and experienced software development and consulting company. We specialize in designing and developing interactive technology solutions and implementing operational changes in collaboration with our customers. In the continuously developing IT environment, CodeBakers provides you with an exceptionally extensive and experienced consultants and teams of IT specialist to build your state-of-art IT systems. We offer you high-quality CRM-solutions based on market-leading software from our partners. We believe in openness, respect for talents and continuous development as individuals and as a team. We are proud of our customer driven business models and actually, that is the matter of honor and lifeline of our success. CodeBakers is a subsidiary of Siili Solutions Plc. Crementum helps fast growing companies take control of their potential and current customer relationships by utilizing CRM Cloud Services. We believe that a systematic sales and marketing process is a key component of CRM. We can offer significant value-add to our customers by implementing a best-of-breed Marketing Automation solution. Digital Illustrated designs and implements consumer-grade portal and collaboration solutions for large enterprises using Microsoft technologies. Our services include technology consulting, concept design, agile development, and continuous maintenance services. Our agile development model together with the productized service concepts generate measurable business benefits rapidly and cost-effectively. We pay special attention to end-user needs and user experience in all solutions. Innofactor is one of the leading Nordic IT solution providers focused on Microsoft platforms. Innofactor delivers business critical solutions and maintenance services as a system integrator and develops its own software products and services. Innofactor’s own product development is focused on Microsoft-based cloud solutions. Innofactor’s customers include over 1,000 private and public sector organizations in Finland, Sweden, Denmark and elsewhere in Europe. From 2011 to 2015, Innofactor’s annual net sales growth has been 35% on average. Microsoft has named Innofactor as the Finnish Partner of the Year in 2015, and the company was also selected into the Microsoft’s international finals in two categories. Javista is Consulting Company helping corporations improve their Customer Strategy. We team up with our customers, work together to define efficient customer lifecycle and implement their vision with Microsoft Dynamics CRM, Online, linked to Social Networds and available on SmartPhones, Phablets and Tablets. Our target aims at helping Top Management makes faster and accurate decisions based on functional Dashboards and offering to end user rich interface experience. Our experts perform a functional audit and/or technical of your needs, accompany you in the implementation of your campaigns of emailing, identify with you a strategy of high-performance content, create a program of generation of qualified leads, manage your marketing campaigns on social networks, are putting in place custom dashboards and measure the performance of your campaigns. We offer you 3 levels of services which will meet each to the needs well identified with you. Openfield offers an end-to-end innovative solution for connected brands and venues. We provide real-time and contextual data intelligence to your business. We manage the property, the privacy and the security of your data. We work together to unleash your data potential securely with our Data Management Platform (Collect DATA), with our business desk to explore and visualize, and by combining the sales and marketing power of Microsoft Dynamics CRM and ClickDimensions. Ixemelis is a French company created in 2007, located in Antony (10 km south of Paris). 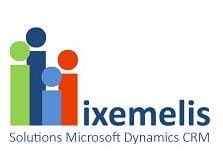 Ixemelis is an integrator of Microsoft Dynamics CRM Solutions. Daily, one of our goals is to improve productivity of our clients thanks to qualified experts in Dynamics solutions, with 10 years experience on Dynamics CRM. Our expert services include audit, consulting, technical training and operative formation. We adapt to your needs before, during and after the commitment period. BE CLOUD is a Consulting Company which is specialized in Cloud Computing solutions of Microsoft. – Microsoft SQL Server, a Business intelligence software. With a team of very well qualified experts, it ensures companies on the establishment of their Cloud Projects. ACTIVOPS helps companies activate their digital transformation and supports them in the continuous improvement and use of innovative solutions. Our CRM, Dynamics 365 and all-around Microsoft experts work closely with your teams to optimize customer experience and strategy for better engagement through campaign automation and lead nurturing with ClickDimensions. AZEO is a Microsoft partner, dedicated to the success of your digital transformation. We are an innovative IT solutions company who supports its clients in their digital transformation by covering all the Microsoft technologies and products. We leverage our expertise in infrastructure services, business productivity, CRM, data, BI and modern applications, with a strong focus on the Microsoft Cloud Platform. AZEO has partnered with ClickDimensions for its email marketing and marketing automation capabilities embedded in Dynamics 365 in order to offer a unique end-to-end CRM and marketing solution for our customers. Specializing in the processing and the validation of your data within your IT System. Experts in the Microsoft domain, we provide advice and integrations in complex inter-application flows. We develop and integrate Dynamics 365 into the core of your Azure Cloud to configure and install a central tool at the heart of your business, combining data management and an understanding of your own business challenges with a real return on investment. Our team is involved in multiple marketing projects and in many implementations of ClickDimensions. We are here to help you implement the solution and integrate it into your marketing efforts. DECADE has always carried a vision about the extended and collaborative enterprise, developing and promoting the concept of “la mise en ligne de l’entreprise”. This proposal makes sense in omni-channel commerce, but beyond it addresses all business leaders who want to integrate their employees, partners and customers in a co-development process in order to transform and expand their businesses. Devoteam Customer Effectiveness, part of the Devoteam group is specialized in Customer Relationship Management and multi-channel Marketing. This initiative was born out of three former managers of consulting firms, combining their careers paths and their expertise to provide innovative and full answers to business and technological stakes, related to the Digital Transformation. We deliver projects from advisory and strategy to implementation. We partner with market leaders on customer relationship management and marketing. Devoteam is strongly involved with Microsoft and multi-workload gold certified. Devoteam Customer Effectiveness can provide you with answers and commitment on your Dynamics 365 projects, marketing advisory and implementation with clickdimensions. We guarantee you CRM and marketing specialists and 100% certified teams on your projects. Hitachi Solutions France, part of the $89 billion Hitachi Group, helps large, complex businesses utilize Microsoft Dynamics 365 to reduce costs, increase profit and improve customer engagement. As the possibilities offered by hosting applications in the Cloud are recognized, our team of industry and technology experts are ideally placed to advise as to whether this is the right time to move your critical business systems to the Cloud, and to support you along the way. Our specialties include Microsoft Dynamics 365, Business Intelligence, Organizational Change Management, Systems Integration, Microsoft Technologies, Transformation & Adoption, ERP , CRM, Data Science & Analytics, Power BI, IoT and Click Dimensions. Isatech is a French integrator of Microsoft Dynamics ERP (NAV and AX), CRM, and Office 365. They are a number one Microsoft Dynamics French Partner and always follow the same commitment—to offer you the global range of solutions and services tailored to your needs and your ambitions. Expert of Microsoft Dynamics CRM, we offer you a better chance for success in your marketing thanks to ClickDimensions. JSI Groupe provides business technology services and solutions based on its expertise in Microsoft technologies to help customers increase their productivity and performance. JSI Business Solutions is the division recognized as one of the best Microsoft Gold certified partners in France and provides solutions through a high range of consultants and experts in the fields of Customer Relationship Management with Dynamics CRM 2011, Collaboration software with SharePoint and Business Intelligence with SQL Server. Masao is a company specialized in customer experience. Masao is Gold partner Microsoft and partner of the year on Dynamics CRM solutions. This expertise allows us to support you in the digital transformation of your sales, marketing and customer service processes in order to accelerate your sales and retain your customers. Since 2001, Neos-SDI has proposed innovative usage and business transformation for large- and medium-sized companies through specialized consulting, development, integration and support services. With several Microsoft Gold Partner distinctions, Neos-SDI is recognized as one of the most skilled partners in business productivity, collaborative solutions, CRM solutions and cloud transformation. With ClickDimensions solutions, we propose a fullly integrated Dynamics 365 solution that provides to our customer high business value and efficiency. Novulys was founded in 2011 and acquired by Gfi in 2016. Gfi has 18.000 employee in 20 countries with a turnover of 1500M€ in 2018. With more than 40 consultants specialized in Dynamics 365 CRM in France (140 in total in Gfi), we are a strategic Entreprise partner for Microsoft France covering business requirements from upper middle-market to large companies and public organizations. We provide business accelerators for energies utilities and chemical, distribution, telco and public sector. We deliver services for marketing automation with a team of consultants certified each year on ClickDimensions. Orange Applications for Business is the branch of Orange Business Services specialized in systems integration and tailored or SaaS-based service applications. We are the IT and telecoms partner for your digital transformation, to serve your business performance. Orange Applications for Business supports you throughout the whole lifecycle of your projects (consulting, design, development, maintenance, change management and operations) in the customer experience area and more specifically on CRM projects as a Microsoft partner. We have more than 200 experts certified on Microsoft technologies to answer your digital transformation and customer experience needs: CRM, contact centers, collaborative portals, mobile applications and chatbots. For us, simplicity is essential: our objective is to make you manage easily your business with Microsoft Dynamics CRM and ERP NAV. We ensure you responsiveness and proximity. We specialize in delivering Microsoft solutions to mid-market businesses, with Dynamics CRM, ERP NAV, SharePoint, SQL. We provide implementation, training and ongoing support for Microsoft Dynamics CRM and ERP NAV. SB Consulting capitalizes on an expertise that combines technical know-how and business knowledge. Sopra Steria, a European leader in digital transformation, provides one of the most comprehensive portfolios of end-to-end service offerings on the market: consulting, systems integration, software development, infrastructure management and business process services. Sopra Steria is trusted by leading private and public-sector organisations to deliver successful transformation programmes that address their most complex and critical business challenges. Combining high quality and performance services, added value and innovation, Sopra Steria enables its clients to make the best use of digital technology. With 40,000 employees in more than 20 countries (more than 18,000 in France), Sopra Steria had revenue of €3.7 billion in 2016. Technomade is specialized in consulting, integration and implementation of CRM solutions. As a Microsoft Silver Cloud CRM Partner, we have the expertise and certifications needed to conduct Dynamics 365 projects. Since 2004, we have completed more than 300 projects exclusively in the area of Customer Relationship Management. All our resources and energies are dedicated to provide a full range of services to our customers at every stage of their project. Titanium provides efficiency and productivity to its B2B customers through role-tailored CRM and collaborative applications. We guide and help the customer achieve digital transformation, focusing on the company’s business and marketing targets. IT becomes a part of the strategy and helps the customer successfully reach customer satisfaction and sales insights. As a Gold Certified Partner since 2006, Titanium helped more than 90 CRM customers to optimize their processes and gain new markets. aXon successfully delivers enterprise software since 1994. We offer software, consulting and service to meet company’s strategic objectives. As one of Microsoft‘s first hour Gold Partner aXon is set up with the three competencies: CRM, SharePoint and custom business solutions. We combine processes, knowledge and people with SharePoint, CRM and mobile apps. OnDemand4U, Microsoft CRM Gold Partner and licensing specialist for small and medium-sized companies, offers consulting and implementation services for Microsoft cloud solutions. These include Dynamics 365, Office 365, Azure and Power BI. OnDemand4U has an excellent track record in delivering projects on time and within budget across various industries. Our expertise in working with leading solutions such as Microsoft Dynamics and ClickDimensions is to ensure that our customers get the most out of their CRM. We help you to achieve your business goals faster. Codec is an Irish, Full Stack Solutions consultancy founded in 1985 and headquartered in Dublin with offices in Cork, Galway, Belfast, London, Cologne and Warsaw. Employing just under 200 staff, Codec is growing rapidly, expanding our team of industry-leading experts, while continuing to deliver on the promise of empowering businesses in the public and private sectors. Codec is Microsoft Ireland Country Partner of the Year 2017 and has been Microsoft Ireland Dynamics 365 Partner of the Year for 6 of the last 7 years and Oracle Hyperion partner of the year UK & Ireland for 5 of the last 6 years. CRMFIRST is the consulting and implementation partner for intelligent customer engagement strategies with Microsoft Dynamics CRM. We provide our customers a full-service portfolio that includes business intelligence and data integration from different sources. Our strategies are focused on making marketing communication and customer engagement always personal and relevant. CRMFIRST delivers our customers the added value to maximize their business with their customers. Located in Frankfurt am Main, CRMFIRST works together with customers in Germany, Austria and Switzerland. Please contact us with any questions or for a demo of ClickDimensions’ marketing automation solution. We look forward to speaking with you to discuss your needs. CRM Partners is leading in developing, implementing and controlling CRM Solutions based on Microsoft Dynamics CRM. In CRM Partners’ view, a CRM system is not just a technical solution: it is an important instrument, enabling strategic business goals. CRM Partners has built an impressive customer portfolio of more than 150 companies like Bayer AG, SolarWorld AG, CSU and others. They have realized their CRM-potential with the help and support of CRM Partners. CRM Partners is Microsoft Certified Gold CRM Partner and member of the Microsoft Presidents Club. In 2013 CRM Partners was appointed as a member of the Microsoft Inner Circle, as finalist of the Microsoft Award CRM Partner of the Year 2013 and Microsoft Dynamics Partner of the Year for Western Europe. HSO is a leading provider of innovative enterprise business solutions that improve the results of our clients. Founded in 1989, HSO specialises in implementing, integrating, optimising and maintaining enterprise solutions based on Microsoft Dynamics AX, CRM and O365. HSO works with multinational enterprises in industries such as distribution, retail, manufacturing and services. HSO uses a distinguished and proven implementation methodology (HSO Excellerate) to deliver predictable results. Our international capabilities rely on more than two decades of practical experience, having delivered successful implementations around the world. HSO employs more than 500 professionals and has locations in Europe, North America and Asia. adesso is one of the leading IT service providers in the German-speaking area and focuses its consulting and software development activities on a company’s core business processes. adesso’s strategy is based on three pillars: the deep industry specific know-how of its staff, the comprehensive expertise in technology and the application of reliable methods in software implementation projects. Following this approach, adesso develops superior IT solutions, which enhance the competitive position of a company. adesso’s employees take an entrepreneurial approach to their work, paying great attention to professional communication and being fully conversant with the specific requirements of the business sectors their customers are active in. adesso was founded in 1997. As a leading provider of integrated solutions akquinet offers the broad range of services to design, implement, operate and maintain complex IT solutions. On a day-to-day basis, our more than 850 employees are helping our customers focus on their core business and to increase their competitive situation with our tangible project results. The ability to build custom solutions based on standard software such as Microsoft Dynamics and SAP, and the ability to build applications and portals using bespoke development based on commercial and Open Source platforms enables us to fully support our customers software and architecture preferences. Allgeier Productivity Solutions is a specialist for communication and productivity solutions on the basis of Microsoft technologies and a subsidiary of the Allgeier Group, one of the leading IT Service Providers of Germany. The focus of the Microsoft Gold Competency Partner are SharePoint, Dynamics CRM, Exchange and Skype for Business, for which Allgeier Productivity Solutions has excellent references from major clients as well as from the SME sector. Larger clients are banks, insurance companies, energy providers, suppliers to the automotive industry and public sector bodies. Allgeier productivity Solutions stands for a sustainable support of business processes through the use of information technology. The Anywhere.24 group is developing sustainable relations between organizations, processes and technologies. The Anywhere.24 company philosophy follows the motto “Creating Impact.“ We are highly qualified consultants systematically identifying barriers and obstacles as well as the strengths and weakness of a company to continuously improve the processes and products. The sustainable added value for the customers is the measuring rod for the success of Anywhere.24. Cloudbridge Consulting specializes in consulting, development and implementation services in marketing and sales for B2B companies. Our conceptual focus lies on multi-channel marketing, customer journey, lead generation, end-to-end lead processes as well as marketing automation and marketing performance management. The Cloudbridge team consists of experienced consultants in B2B marketing, sales and IT. Cluster Reply excels at helping our customers exploit relevant innovation brought about by economic changes and driven by internet technologies. We have a specialized competence in consulting, system integration and digital services, and focus on digital transformation with continuous investments in innovation and know-how. We enjoy strategic partnerships with leading market vendors as well as a high customer retention rate. Cluster Reply is a member of Reply Group and is a well-known Microsoft Partner. We lead the way in analytics, CRM, cloud, IoT, productivity and mobility, and have been recognized as an Emerging Azure Partner of the Year. 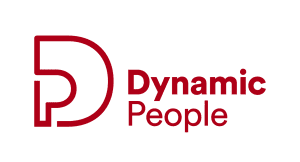 Dynamics Consulting GmbH from Munich provides technology and business process consulting services to enterprise and mid-sized companies throughout Germany, Europe and usa with a focus on Microsoft Dynamics CRM. Dynamics Consulting Munich is specialize in larger and more complex deployments where customers really want to leverage CRM to transform their businesses. INKUBIT Group specializes on the implementations and development of Business Systems such as Microsoft Dynamics, Azure, SAP®- Solutions and HCM-Systems. Being a full-service-provider, the INKUBIT Group manages the full product lifecycle starting with consulting, going to implementation and finishing with deployment and maintenance. At INKUBIT Group our vision is to help customers to reach their fullest potential by focusing on people and creating business value in a fast and constantly changing environment. As an official Microsoft partner, we have the qualification to serve our customers regarding the Dynamics 365 Stack from Microsoft on a high level and are offering ClickDimensions as the main solution for implementing marketing automation into Dynamics 365. As a software and consulting company, Inway Systems provides sector specific ERP and CRM solutions, based on Microsoft Dynamics 365.Our clients are medium-sized businesses and companies, which focus on discrete production and technical wholesale trade. We have been involved with Microsoft Dynamics since the beginning. For over 15 years, we have been concentrating on the implementation of Microsoft Dynamics and the development of our own industry solutions and add-ons. From the start, Inway Systems has been a Microsoft partner and possesses the highest Microsoft partner status: Gold ERP. M&P’s IT solutions – made for your own personal success. M&P´s business software ensures that you have all you need for long-term corporate success. It can be optimally incorporated into work processes, is future-proof and dynamically scalable. M&P offers customized advice, competent implementation and committed support based on extensive experience in trade, industry and services. We not only deliver software, we help you. M&P develops and implements state-of-the-art and efficient software solutions as a basis for strategic corporate development. Our competence as a Microsoft Gold Partner and more than 180 satisfied customers are evidence of our unique expertise. PRIM is a consulting company specializing in providing solutions for customer relationship management (CRM). Our focus is to optimize sales and marketing processes of our customers by using Microsoft Dynamics 365 and SharePoint technologies. We develop individual CRM components and/or integrate value-added solutions from other partner companies based on the requirements for our customers. Your success – our challenge! PROLAN is an IT Consulting company located in Berlin/Germany. We combine our CRM Consulting with a strong .Net development team. This a foundation to solve complex CRM issues, like deep process integration, extended connection to external systems and a fine CRM/XRM user experience. Clickdimensions is an important cornerstone to fulfil the vision of a truly integrated CRM System. In addition to many years of experience in designing and developing application systems, we offer our customers in-depth specialist knowledge for optimizing and stabilizing their business processes. With around 400 employees at 11 locations in Germany and Switzerland, the PTA Group provides on-site support for customer in various industries, ensuring reliable, rapid-response and cost-effective services. Our customers include major companies and corporations in all industries, with whom we generally maintain long-term relationships. You can find selected reports on successful customer projects in the customers section. Sycor is a full-range service supplier for Microsoft Dynamics AX, Microsoft Dynamics CRM and a Microsoft Cloud Solution provider. With over 550 employees and 20 locations in Europe, Asia and the Americas, Sycor is a player on the global stage, supporting its customers along the entire value chain. The experts implement and operate cloud, on-premises and hybrid scenarios. Sycor also offers solutions and services for Microsoft Azure, Cortana Analytics, Power BI, SharePoint, Skype for Business, Office 365 and other online Microsoft products. Technology operating services (hardware, operating systems, databases and applications), software asset management and license consulting round out our portfolio. CSP Services’ software section provides a significant contribution to the turnover of the company. The department operates in different business solutions (MOSS, CRM, BI) based on Microsoft applications, vertical-specific CRM solutions, and custom-made Windows and Web applications that are developed by Microsoft certified engineers. Having excellent expertise in Microsoft’s technology platform, such as SQL server, Visual studio, .Net, but also extensive experience in various business processes, employees of CSP Services’ software department are able to understand and analyze your requirements to propose ideal solutions and software, in order to manage large and complex projects. Data Recta is a continuously evolving company in the domain of IT Solutions, in favorite of its consumers. It is focused and specialized in specific IT segments such as CRM, Business Intelligence and Cloud Services, in order to deliver high quality of services. Nevertheless, it completes the existing products and services with related vertical solutions, providing the necessary expansions towards customer’s requirements. Data Recta is utilizing the latest IT innovations and takes into consideration the trends and needs in both domestic and foreign markets. INSYSS was founded in 1992, focused on regional industry to strengthen its business practices by forming strategic alliances with business partners offering leading solutions. INSYSS has a 20+ year practice in business process consultancy and solution implementation and integration, is a Certified ERP, CRM and CSP Tier 1 Microsoft Partner. With clients all over Latin America, we give support to all our clients and to partners. Annata is an international company headquartered in Iceland. We deliver technology solutions and professional services to businesses, customers and partners who strive to maximise their market value, excel in customer service and sales, and attract new business and resources through investment and operation of world-class software and solutions. Our team consists of highly motivated professionals, who through creativity, collaboration and commitment, help customers excel in their business. We build technology solutions based on decades of experience in the automotive, equipment, rental and fleet industries. Annata is a Microsoft Dynamics AX and CRM gold partner. m-hance provides innovative and functionally rich software solutions to over 2000 mid-market sized organisations. Its core solutions offering comprises financial management, CRM, SharePoint, HR & Payroll, managed services and software development in a variety of vertical markets including distribution, manufacturing, not-for-profit, professional services and infrastructure. m-hance was formed following the acquisitions of Calyx Software, Gyrosoft, Trinity Computer Services and elements of MentecPlus, Touchstone Group and Maxima Holdings plc. In September 2013, m-hance was ranked in 40th position in the Tech Track 100 league table as one of the fastest-growing private technology companies in Britain after achieving record sales growth of 79 per cent. CloudFronts Technologies is focused on helping Partners & Customers succeed with their Microsoft Dynamics CRM Online Customizations & Implementations. Our team of Sr. Developers to Solutions Architects are focused on CRM. Our Remote Delivery Model ensures we are able to pass on tremendous cost benefits to our customers & partners. 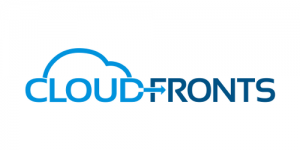 Contact us today at +1 855 796 4355 x1 or email us at info@cloudfronts.com. DU IT is a boutique IT consulting firm located in India that strives to deliver right IT solutions on Microsoft Dynamics 365 Customer Engagement and the ClickDimensions marketing cloud platform. For ClickDimensions, our capabilities are installation, training, administration, configuration and customization, support and migrating CRM instances. Infosys is a global leader in technology services and consulting. We enable clients in more than 50 countries to create and execute strategies for their digital transformation. From engineering to application development, knowledge management and business process management, we help our clients find the right problems to solve, and to solve these effectively. Our team of innovators around the globe is differentiated by the imagination, knowledge and experience, across industries and technologies, that we bring to every project we undertake. Visit www.infosys.com to see how Infosys (NYSE: INFY) can help your enterprise thrive in the digital age. Cloud9 Insight is a Microsoft Global Top Tier Managed Gold CRM Partner and Dynamics Presidents Club Award member, which is only awarded to top 5% of Dynamics partners globally. Cloud9 Insight is an expert at helping SMB clients to grow profitably using Microsoft Cloud technologies including Dynamics 365, Office 365 and SharePoint. Cloud9 has an exceptionally experienced team of business consultants that will help deploy ClickDimensions and Dynamics 365/CRM using best practice business processes to ensure the best customer experience and user adoption. Cloud9 Insight offers an extensive list of public and private training sessions. To see our latest training schedule click here. Our Purpose is to be leaders in liberating the value of relationships within member organizations. Silverbear’s solution is designed to meet the current and evolving needs of membership associations who are looking for a digital platform to provide a unified member solution with efficient workflow automation and digital experiences. The platform, Silverbear Membership, is uniquely the only UK and Ireland solution for the sector awarded Microsoft’s ‘Certified for Microsoft Dynamics (CFMD)’ accreditation. A world-class cloud and managed services provider, Ergo excels in matching technology to business needs and has been helping organisations achieve their strategic goals for over 23 years. As Microsoft Country partner of the year for the last four out of six years, we are experts in helping sales and marketing teams use Dynamics CRM and ClickDimensions to provide the intelligence and tools necessary to deliver one view of each customer, grow their business, and enable them to manage and improve their clients’ customer experience. Being customer-centric is at the heart of our business and we love helping other organisations get closer to their customers and keep them through the use of technology. Since 1985, ProStrategy has helped organisations streamline their business processes and gain deeper insights into their business. To do this, we bring our 30 years of experience of the industry and world-class software to the table. We put emphasis on getting you information that you can trust. While doing that, we help you build efficiencies by streamlining business processes, understand your customer’s needs by getting to know them better, and improve business performance through deeper and actionable insights. We have implemented Microsoft Dynamics CRM across a broad range of industries for some of Ireland’s leading brands, as well as establishing ourselves internationally. Spanish Point Technologies is an innovative software company working with Microsoft technologies, headquartered in Dublin, Ireland to provide business systems which remove complexity, increase productivity and connect users to critical business information. We employ technologies such as Azure, SharePoint, Office 365, Dynamics 365, Power BI, SQL Server, Nintex and ClickDimensions to build customizable solutions for your business. Spanish Point Technologies is a Microsoft Gold Certified Partner and is the 2017 Microsoft Azure Data Platform Partner of the year and 2016 Microsoft Country Partner of the Year in Ireland. Spanish Point was also awarded Microsoft Cloud Platform Partner of the Year 2016. Established in 1995 and based in Dublin, Ireland, Storm Technology is a provider of software business solutions based on the Microsoft Product Portfolio and is a Microsoft Gold Certified Partner for the delivery of Information Worker (IW) Enterprise Architecture, CRM and Custom Development Services built on the Microsoft technology stack. Storm Technology has a well-earned reputation for building world-class business solutions and for being at the forefront of technology advancement. We are passionate about the needs of our clients and their satisfaction is at the heart of our business. Sysco Software are Ireland’s trusted Dynamics CRM partner providing a full range of Microsoft Dynamics services. Sysco provide software solutions to businesses across Ireland and the UK. We are the largest Microsoft Dynamics Partner in Ireland and work with Microsoft Dynamics CRM, AX and NAV. We implement Microsoft Dynamics CRM to a range of organisations across Private, Not for Profit and Public sector and are a Gold Certified Microsoft Partner for CRM and ERP. Ultan Technologies delivers solutions that add value to your business. The software we build – our products and your systems – are designed to work with your business processes; built in a way that ensures it fits in easily with your systems and delivered to meet your needs in the most cost-effective manner. Our team of highly experienced analysts, architects and developers have a deep understanding of a wide range of technologies so we can choose the right software solution for your business. Our expertise means you make the right choices, so you spend less to get more. Version 1 provides Microsoft Dynamics CRM solutions to Public and Private sector organizations across the UK and Ireland. Our end-to-end Microsoft capability with demonstrated expertise across 10 Gold and 3 Silver competencies has in excess of 100 Microsoft Certified Professionals and our expertise spans SME to Enterprise Dynamics implementations. We develop flexible, scalable Business Applications that drive measurable results. We’re a recognized leader in Dynamics CRM solutions through an unparalleled range of implementation, training and support services that help businesses and organizations in all sectors increase productivity. Elad Software Systems specializes in providing software solutions, development of critical systems, and implementation, deployment and integration of a wide range of advanced technologies, leading organizations to efficiency, while maintaining long-term relationship with their customers. Elad is a Microsoft Gold Partner and a member of the exclusive MS President’s Club. The company adheres to strict quality standards and has ISO 9001:2000 certification in design and development of IT systems, support and outsourcing services. Established in 1982, Elad now consists of over 850 experts, providing a variety of solutions to hundreds of customers, helping them progress and achieve their best results. Shalev IT Serves as an integrator for small and medium-sized business (SMB) and specializes in providing Computer Services, IT Services, Maintenance and System, software sales, communication, security solutions, remote backup, monitoring, remote troubleshooting, customer relationship management (CRM) cloud computing and more. We focus on Microsoft Dynamics CRM, our mission is to help any organization streamline their business operations and increase business success with the Microsoft Dynamics CRM platform. Our logical CRM implementation methodology is proven and always focused on our customer’s project success. Taniv is MS partner since 2008 specializing in rapid Dynamics CRM solutions for the SMB market. Agic Technology is one of the Microsoft Partners leader in Italy for innovation, expertise and added value services. Agic Technology implements solutions and projects for the Organizations and their users, based on Microsoft technology. Business Applications (ERP and CRM), Data Analytics, Artificial Intelligence, Cloud Platform, IOT, Mobile, Machine Learning, Web, App, Portal & Collaboration are the main platforms for the Agic Technology solutions. Governance, Risk and Compliance consultants and technology specialists work together for the release of solutions in according with the data security standards and the new GDPR. The presence across the country with five offices in Italy and a development HUB in Tirana enables consulting, support and development of local and international projects, delivering specialized solutions for industrial sectors such as: Finance, Public Sector, Associations and Agencies, Professional Services, Manufacturing, Engineering & Construction, Telco, Media & Gaming, Pharma. With a customer base of over 400 companies and a team of more than 200 professionals, Agic Technology is a technology partner specialized in Microsoft platforms for medium and large businesses. ALTERNA is an experienced consulting organization and a global Microsoft partner, with Microsoft Gold ERP and CRM competency, and a strong and well-definite focus in the Microsoft Dynamics ERP solution for Manufacturing, Distribution and Retail. ALTERNA harmoniously combines Skill and Experience, Creativity and Innovation, Development and Sustainability, Passion and Enthusiasm, together with the powerful business solutions of Microsoft. Altitudo is a company entirely devoted to the development and implementation of integrated solutions for business on the Microsoft platform. Altitude is a Microsoft Gold Certified Partner and Microsoft Dynamics Integrator. He holds certifications Business Process Integration, Microsoft Business Solutions, and Information Worker Solutions. Apex is a consulting company and ISV deeply focused on CRM. Apex is also a Certified Microsoft Dynamics CRM Partner delivering worldwide, vertical scheduling solutions for sales reps and field engineers. Cluster Reply is the company in the Reply group specialized in consulting services and systems integration on Microsoft technologies. It operates in Italy collaborating with other Reply’s companies that are Microsoft partners in Brazil, Germany, the United Kingdom and the United States. The company follows the evolution of Microsoft offering, in the solution areas of Modern Workplace, Business Applications, Applications and Infrastructure, Data and AI. Cluster Reply, Microsoft partner in Italy since its founding in 1996 has received several Microsoft Awards, as Digital Transformation Partner of the Year (2014-2016), Worldwide Emerging Azure HiPo Partner of the Year (2016) and Cloud Transformation Azure (2017). Comedata is an Italian independent system integrator. It has been in the market for more than 20 years, specializing in the design, development, implementation and management of information and telecommunications systems. Comedata possesses the expertise to improve corporate performance by managing and optimizing business processes such as marketing through Microsoft Dynamics CRM and ClickDimensions. We can help the marketing departments improve the effectiveness and efficiency of campaign automations, email marketing and lead nurturing processes, while ensuring maximum traceability and transparency. We help the start-up of your marketing project with technology, deep knowledge and experience of the process. Gesca Dynamics is one of the most important Italian expertise centers on Microsoft Dynamics NAV and CRM. It implements integrated ERP projects, taking care of the different phases, from analysis to deployment. Gesca Dynamics integrates vertical solutions of business intelligence and custom developments on Microsoft Dynamics platform. To ensure the capillarity of its services on the whole Italian territory, Gesca Dynamics is part and founding partner of Dygroup, member of “2013 President’s Club for Microsoft Dynamics”. MHT, a leader in Microsoft ERP, CRM and BI platforms implementation, is part of the Engineering Group. As a Microsoft partner, Gold ERP and Gold Data Analytics competences, MHT believes in Microsoft Dynamics’ suite innovation and technology, and focuses on the adaptability of these solutions to satisfy all customers’ requirements. 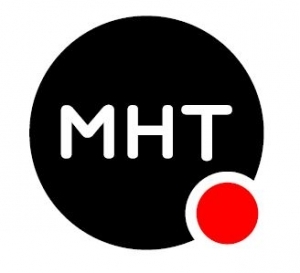 MHT becomes a point of reference in the ERP, CRM and BI markets thanks to its functional and technical know-how and the global services it offers, with a team of over 190 people with proven experience in the management of dynamic development information projects to suit companies of all dimensions. PentaLab is a dynamic company created by a group of professionals with years of experience and collaboration with important Italian and foreign companies. All along in close partnership with Microsoft, PentaLab ensures a high level of preparation and knowledge of platforms and applications, enhancing even further their professional knowledge through a total sharing of know-how and experience in IT sector. Specialized in Microsoft Dynamics CRM solutions PentaLab (Microsoft Silver Certified Partner)provides business technologies services to help customers to realize expected results. React Consulting Srl is one of the most qualified company concerning software development, system integration and project development in IT sector. React Consulting is a Microsoft Certified Partner. Thanks to the numerous projects React has already completed, it has become specialized in the development of software on .net platform, in the customization of Microsoft CRM, in creating company intranets and web sites with Microsoft Sharepoint and in the management of Business Intelligence projects with Microsoft Sql Server. Würth Phoenix is your secure, stable and internationally experienced IT partner. In an IT and consultancy market characterized by corporate takeovers and lack of transparency, Würth Phoenix offers you the long-term investment security of being part of a successful international corporate group. With our more than 160 highly-qualified, international experienced IT specialists, we can refer to a global experience in implementing business software and many years of expertise in wholesale and multichannel distribution, sales force Automation, IT system and service management. With our broad partner network, we look back at many Microsoft Dynamics CRM, ERP and IT system management projects deployed on an international level. Elva Baltic is one of leading IT companies in Baltic States – located in Riga, Latvia. Elva Baltic has subsidiaries in Lithuania and Estonia. The company is a leading Microsoft ERP Gold Certified partner in Eastern Europe focused on Microsoft Dynamics business solutions – Microsoft Dynamics NAV, Microsoft Dynamics AX and Microsoft Dynamics CRM. Elva Baltic has more than 60 responsive and competent specialists, who have delivered 300 successful ERP implementations. Elva Baltic has been named Microsoft Partner of the Year 2011 and a Microsoft Dynamics President’s Club winner many times. Also Microsoft has named Elva Baltic as the best Microsoft Dynamics ISV of the Year 2012 for Central and Eastern Europe region. Established in 2010, Dynamic Objects provides Dynamics 365 consulting services to small, mid-sized and large companies in Lebanon and the middle east. We specialize in any type of deployment where customers want to leverage software and cloud capabilities to transform their businesses. As a Microsoft managed partner with more than 10 years of experience in Dynamics CRM implementations and solutions in Lebanon and the middle east, we can help you define, customize, install or deploy Microsoft Dynamics 365 to track sales, marketing and customer service or any line of business application. Business Elements is a market leader in providing solutions on Microsoft Dynamics 365 and Azure in the Belgium and Luxembourg area. With about 35 experienced consultants, we offer a broad range of expertise on customer engagement and digital marketing. As a Microsoft Tier 1 Cloud Solution Partner, we also offer dedicated support services for our customers. We deliver outstanding service to ensure that clients’ expectations are met. Our team combines business and technical knowledge with specific expertise in industries such as finance, insurance, public sector and associations to provide excellent results for organizations that intend to leverage their business with their solution technologies. NEREA is one of the leading Customer Relationship Management (CRM) companies in Belgium and Luxembourg. For more than 14 years, NEREA has observed, analyzed and commented the CRM market, allowing its clients to stand at the cutting edge of technological and behavioral trends and mutations. Thanks to this recognized expertise, the Nerea Group understands your DNA, helps reengineering your processes, advises the most appropriate tools and leads their implementation within your environment. Nerea masters a bunch of high-end technologies and CRM tools, implements them, configures them, adapts them, and makes them fit your DNA. iMovo is a professional services and solutions company that specializes in “Know Your Client” solutions using CRM and Business Intelligence as platforms to implement benefits realization inside its customers’ organisations. Providing the full range of services from CRM strategy, process design right through to providing innovative software solutions and analytic dashboards, iMovo helps companies amplify the impact of their sales ,marketing and service management teams and see this reflected in the bottom line of the enterprise. Using tried and tested strategies for implementing CRM driven change within organisations, iMovo has worked across several industries internationally. With Xerenix dedicated focus on Microsoft Dynamics, we have built robust solution capabilities within Dynamics NAV and Dynamics CRM. We help customers identify and implement the enterprise business solution that is best suited to address their enterprise needs. Our team has Microsoft certified consultants with extensive domain, product and technology expertise. We have integration specialists with experience in integrating other ERP and IT systems with Microsoft Dynamics solutions to extract greater value from existing IT investments. Our focus, expertise, and approach has helped our clients to understand their customers’ needs, develop strategies to service customer’s better, transformed and optimized value chains. Established in 1985 and headquartered in Mexico City, GCG has been providing business consulting services and delivering solutions of the highest quality around Microsoft’s Dynamics ERP and CRM solution. GCG offers a unique, solid, integral and robust solution built by components that are not limited to technology but also a compilation of best practices that have proved to be the key drivers of highly satisfied customers. GCG’s business strategy is built upon a vertical market approach where several business units serve the needs of process manufacturing, distribution and retail, professional services, public sector, educational institutions, energy, real estate developers, banking and finance. We are a consulting firm specialized in the implementation of business management solutions. Our goal is to provide entrepreneurs like you with software, technological tools to help you drive your company in a more productive way and to impulse its growth. We put in your hands, solutions that allow you to move faster your processes, to improve relationship with customers and suppliers in addition to integrate all areas to be more competitive. For more than 12 years, Axentit has been the principal Dynamics GP provider in Mexico, tailoring Dynamics GP for different industries. In Dynamics CRM, Axentit distributes solutions for six specific industries: education, retail, automotive, healthcare, professional services and insurance brokers. The company provides consulting, implementation and support solutions which empower clients to become more productive, streamline processes, manage sales, create effective marketing campaigns and manage customer initiatives. Axentit has worked with customers in Mexico, Central America and the Caribbean. We support US companies who have branches in Mexico with local regulatory compliance, helping them to work with security and confidence. BusinessBase CRM Specialists provides CRM knowledge in the broadest form possible with the power of Microsoft Dynamics CRM. With 30 specialists we are the 2ndlargest Microsoft Dynamics CRM Competence Center in the Benelux. Our focus is primarily the medium- and larger sized businesses. With our own development team we can provide virtually all applications in- and outside of Microsoft Dynamics CRM. We help our customers improve their relationship management, sales, marketing and service processes in a long-term partnership. Which results in a better customer experience, higher customer satisfaction and increasing profit. With the use of standard templates and add-ons we help our customers thoroughly with smooth implementations and cost-effective support. 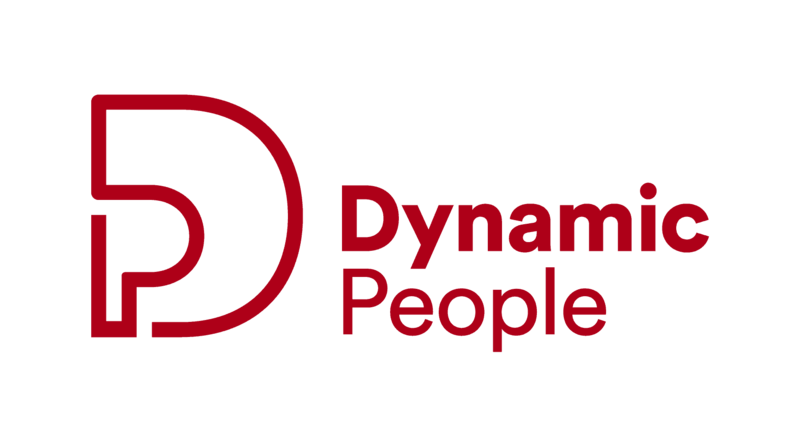 Dynamic People is a Microsoft partner based in Amsterdam – The Netherlands and specialized in implementing solutions based on Microsoft Dynamics AX and Microsoft Dynamics CRM. The main focus is professional service organizations and trade companies. House of Engagement (formerly CRM Resultants) helps institutions and organizations realize the best return from customer relationships and excellent customer experiences. We have been a Microsoft CRM Gold Partner for many years so we have a vast knowledge of how Dynamics 365 tools can be used. Based on this, we have developed smart, market-specific solutions for education, finance and legal that consist of a well-balanced mix of technology, knowledge, project management and support. In-depth knowledge of our customers and their customers and innovative deployment of new technologies, such as chat bots, portals and artificial intelligence, is what makes us different from others. HSO is a leading Microsoft Solution Integrator and provider of innovative enterprise business solutions that improve the results of our clients. HSO specializes in implementing, integrating, optimizing, and maintaining CRM and ERP solutions based on the Microsoft Dynamics 365 platform. HSO is working with larger local and multinational enterprises in retail, distribution, manufacturing and services. HSO is a Microsoft Certified Gold ERP, CRM and Cloud CRM Partner. In 2014, HSO was Microsoft Partner of the Year and since 2006 HSO has been a member of the Microsoft Inner Circle for Microsoft Dynamics. HSO is also ISO 27001 certified, which ensures confidentiality, integrity and security towards all clients. Ifunds is market leader in the Netherlands for CRM solutions specifically made for non-profit organizations. They distinguish themselves by being an Independent Software Vendor and an implementation partner in one. The solutions – offered by Ifunds to fundraising organizations, membership organizations and equity funds – contain 23 years of specific experience with non-profits. These smart solutions together with full service activities carried out at the request of their relations, fit with her vision: ‘enable organizations to create a bigger social impact with their supporters’. We are InSpark! We accelerate and innovate your daily business using Microsoft cloud technology. As a top-ranked Microsoft Gold partner in The Netherlands, we have a proven track record in automating your core sales and marketing processes with a keen eye for end user needs. With an experienced and enthusiastic team, Bend CRM carries out CRM implementations based on Microsoft Dynamics CRM. We act as a content sparring partner for the establishment of relations, sales, marketing, and service processes. We ensure success through training and guidance for avid users of Microsoft CRM software. In our services, we put emphasis on a method that’s “to the point”. With a clear and practical focus, we keep our promises and objectives. Cayentis develops and supports Microsoft Dynamics-based CRM projects and is an expert in the integration of your CRM system with virtually any other system. A good CRM system is something that everyone is happy to make regular use of. Cayentis has over 20 years of experience in implementing and developing CRM systems within companies varying from 5 to 5,000 users, and therefore knows their way around complex structures, politics and the most important part of a CRM system – the users. Centric offers Software Solutions, IT Outsourcing, Business Process Outsourcing and Staffing Services. We enable customers to focus on their core businesses with technological solutions, administrative services and over 5,000 qualified professionals in Europe. A Microsoft Certified CRM Partner, Centric has ample experience with CRM implementations. We help you reach out to customers more personally, actively and effectively. Together, we enrich your customer information and to create a complete customer profile. Centric implements CRM to match your company’s processes, but also looks beyond the system’s boundaries. We focus on end-user functionality and help you choose the right additional solutions. Ciber is an IT company with over 40 years of experience with outstanding references and a broad offering of technologies. Almost 97 percent of our customers would recommend Ciber to colleagues and would ask Ciber for a project in the future. Ciber’s services include Microsoft Dynamics CRM, Microsoft Dynamics AX, Microsoft Application Platform, Microsoft Business Productivity, Microsoft Mobile and Microsoft Business Intelligence. We are also experienced in online marketing, marketing strategy, collaboration, ECM and cloud services. With a strong global delivery model, Ciber can offer the perfect fit of skills to maximize the return on your technology investment. CRM Plus+ is a new, dynamic organization that consists of 10 freelancers who specialize in implementing Microsoft Dynamics CRM, SharePoint and Office 365. Although we are a new organization, our associated staff has many years of experience in one or multiple aspects that are important in the implementation of such systems, from strategy to implementation to support. Helping large professionals service organizations to improve the way they acquire and manage projects. That is our core business. By implementing standardized solutions based on Microsoft Dynamics CRM, Microsoft SharePoint and Asta Powerproject we support companies to optimize processes like; marketing, sales, collaboration, document management and project management. CTB xRM has built an large portfolio of more than 300 customers in the Construction Industry, Engineering, Installation Technology and Offshore Industry with names like; BAM, Royal HaskoningDHV, Alewijnse and Ballast Nedam. Delta-N is a leading Dutch Microsoft certified ICT organization, located in The Hague. We deliver, install and implement ERP and CRM solutions both in the cloud and on-premises, based on Microsoft Dynamics 365 technology to support our customers in managing both structured and unstructured data. Our challenge is to help our customers transforming into the digital transition by optimizing business processes and creating new business models based on the latest proven technology. Our values and relationships with our employees, customers and partners are based on integrity and confidentially. Over the years DotWood CRM has demonstrated consistent, high-quality service to Microsoft Dynamics CRM and ClickDimensions customers. Our expertise comes from years of international experience in email marketing and CRM. Together we make sure that you stay ahead of your competition! The software will be integrated within your company’s culture and the way you work. We have Dutch, German, French and English speaking consultants to match your company, anywhere in The Netherlands, Belgium, Switzerland, Germany and France. friendlyITsolutions is a company that is specialized in Microsoft Dynamics CRM. We can offer cloud, on-premise, partner hosted or hybrid Dynamics CRM solutions, which provide only functionalities that you need! We do integrations and migrations and use only top ISV solutions like: Scribe Software, CWR Mobility & ClickDimensions. Macaw designs, builds and supports digital solutions for online and mobile use in office and home environments for midsize to enterprise companies that want to be successful today and grow their business with the technological, social and business innovations of the future. We specialize in business integration, social collaboration, cloud, marketing automation, business analytics, and outsourcing solutions and technology. Our passion is to connect people, products and processes and to deliver the best experience, productivity and insights possible. We are honored to serve customers like Achmea, BCC, Deloitte, Douwe Egberts, Evides, Heerema, Heineken, HEMA, Koninklijke Horeca Nederland, Perfetti van Melle, and Scotch & Soda. Ormer ICT helps businesses to professionalise their ICT-organisation. This is structured through multiple channels, such as outsourcing ICT activities, secondment of ICT professionals and ICT consultancy. ICT consultancy is focused on the strategic aspects of ICT, leadership, information management, customer relationship management, data analytics and change programs. Ormer ICT also facilitates a part time Chief Information Officer in order to make ICT a strategic aspect of your business. Prodware believes a CRM project to be successful when it combines a customer-centric business strategy with the delivery and implementation of a world class CRM software solution. Prodware excels in CRM projects using the Microsoft Dynamics CRM portfolio. Combined with our extensive experience and practical implementation approach, we have helped an impressive number of customers to realize their business goals. From smaller companies to multinationals. From standard CRM Online to complex CRM integration projects. Our Prodware international CRM competence center works together with our local CRM teams to develop and support Microsoft Dynamics CRM projects to deliver real benefits to our customers. Prodware NL is a Microsoft Certified Gold CRM Partner. 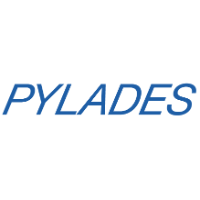 Pylades is a full-service Microsoft gold partner specialized in implementing intelligent business solutions based on Microsoft Dynamics 365. Our mission is to make organizations successful with Microsoft. 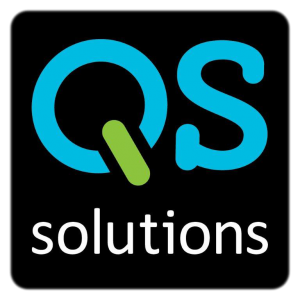 QS solutions is a Microsoft CRM gold certified Partner since the introduction of Microsoft CRM, and a ClickDimensions partner already for years. QS solutions is also Microsoft partner for SharePoint, Identity and Access Management and Project Server. As an ICT service provider, Winvision focuses on advising, developing, implementing, and managing Microsoft platform-based solutions. Using innovative ICT solutions, Winvision enables its customers to unlock the business value of the Microsoft platform, including Dynamics CRM. As a Microsoft Partner in many Gold and Silver competencies, Winvision ranks among the top worldwide. These competencies are testimony to the importance Winvision attaches to the entire Microsoft platform, as a sound basis for company-wide solutions within knowledge-intensive organizations. Winvision has been operating since 2002 and has since grown into an organization with over 120 staff. Zinnovation CRM is a company in The Netherlands that is specialized in CRM. Of course we always create the best effort for our customers and provide them with good advice. From strategy and implementations until training and support, we’ll do it all. We also work as a partner with Click Dimensions to provide our customers a good email solution. The only thing Zinnovation wants is the best results for our customers in a win – win situation. Intergen specialises in the design, development and integration of business knowledge, information technology and creativity. Intergen provides information technology solutions across Australia, New Zealand and the world based exclusively on Microsoft’s tools and technologies. Our staff work with organisations to improve productivity, empower staff, and streamline and automate business processes, delivering comprehensive solutions for businesses of all sizes, in all industries. Datacom holds the Gold competency in Dynamics CRM and has New Zealand’s largest dedicated Dynamics CRM practice. At Datacom, we know that cleverly applied information technology makes a difference to our clients’ businesses. Customers choose to partner with us because our service breadth and depth is world-class, our infrastructure rock-solid, and our local knowledge truly insightful. A client-centric focus is at the heart of who we are and we pride ourselves on being professional, flexible and easy to work with. We continue to grow because we work on the leading edge of technology, and this makes us different. OA Systems are an Award winning Microsoft Dynamics CRM Gold Partner based in Auckland. We have specialised in delivering CRM solutions for the last 15 years. We have delivered many CRM solution to a wide range of industries in every possible option; cloud, hosted and on-premises. Our people have a passion for delivering quality solutions to address your business needs. We possess all the technical skills necessary to deliver great results. Having implemented hundreds of systems, you can be confident we will deliver for you. 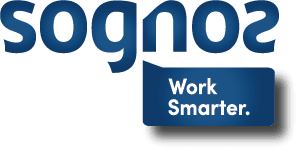 Magnetism is a Microsoft Gold Certified Partner that specialises in customizing and implementing Microsoft Dynamics CRM to automate and streamline business processes, ultimately saving a great deal of time and resources for our end customers. MHA Cloud Computing specializes in providing complete IT solutions across New Zealand and Australia. At MHA we believe that the typical IT model is too complicated. It’s our aim to make IT and communication solutions easy, accessible and affordable. Every business is unique. So are our solutions. MHA prides itself on focusing on client-specific requirements. Understanding how each customer works means we can ensure they get the most out of their solution and have flexibility to grow in the future. We are passionate about Dynamics CRM and how it has empowered our customers to engage more effectively with their customers. Technology Distributions Limited (TD) commenced business in May 1999 as the pioneer ICT distributor in West Africa and for over 19 years, has represented many global Original Equipment Manufacturers (OEMs) including Microsoft, HP, Kaspersky, APC, Samsung, Epson, IBM, Dell, Cisco, Huawei, Lenovo and Phillips among others. As the first manufacturer-accredited local distributor for the sub-region, TD with the support of the OEMs, successfully confronted the myriad challenges posed by the hitherto unstructured market. Among the first measures was the formulation of a clear policy on the channel of distribution that led to the adoption of the prevailing four-tier market structure comprising manufacturer (OEM), distributor, reseller and end-user. www.tdafrica.com | Partner Location: Sub-Sahara Africa. With Head-Quarters in Lagos Nigeria. Kindy note Technology Distributions is licensed to render Microsoft and complimentary cloud services like ClickDimensions in most of Sub-Sahara African region excluding South Africa. The named countries below and environs make up the region: Angola, Botswana, Cameroun, Cape Verde, Ivory Coast, Ethiopia, Ghana, Kenya, Mauritius, Namibia, Nigeria, Rwanda, Senegal, Tanzania, Uganda, Zambia and other un-named countries in Sub-Sahara Africa excluding South Africa. Din samarbeidspartner for effektive arbeidsprosesser. Vi er et selskap som har klar fokus på etablering, optimalisering og/eller endring av arbeidsprosesser relatert til markedsføring, salg og kundebehandling. Vi kan være din rådgiver, partner, leverandør eller en kombinasjon av flere disse. Vi bygger våre leveranser og tjenester ved at vi tar ansvar for kombinasjon og integrasjon av personell, produkter og it systemer. Hensikten er at du som kunde skal slippe tenke på alle komplekse deler vedrørende IT tjenester i når nye arbeidsrutiner eller produkter skal utvikles. Dersom du ønsker å bygge et profesjonelt salgsmiljø, bidrar vi med CRM systemer ferdig satt opp og tilpasset ditt miljø. Acando is a consultancy company that in partnership with its clients identifies and implements sustainable business improvements through information enabled by technology. Acando creates measurable improvements through the development of processes, organisations and IT systems, ensuring that these support the client’s operations. It is the task of Acando to acquire an overall view of the client’s business and to ensure that each project yields a fast effect and improves the results. The client base is wide and includes small businesses as well as corporations and public authorities. The most important business partners of Acando are Microsoft and SAP. Asure specializes in pairing the expected, future customer journey with sound, internal business processes capable of matching the endless changes in customer behavior. Success, however, depends on the organization’s ability to change and execute. Asure is very experienced in creating the necessary organizational momentum to lead management and staff to work towards the common goals to execute upon. Then, based on our modern CRM tools capabilities, we collect the requirements and implement the tools. Asure employs the necessary mix of management consultants and experienced, technical specialists on the Dynamics CRM platform and ClickDimensions. EVRY is one of the leading IT companies in the Nordic region. Through ideas, technology and solutions, EVRY brings information to life, creating value for its customers’ businesses and making a positive contribution to society. EVRY combines extensive industry experience with a customer centric approach, and international capabilities with local presence to help customers realize the full potential of IT. Skill AS delivers business solutions based on the Microsoft platform, specializing in Microsoft Dynamics CRM and SharePoint, System Center and Azure. Through a solid end-to-end delivery process, Skill aims to be the natural first choice of customers by delivering outstanding business value in their projects. Skill’s partnership with ClickDimensions proves our commitment in helping organizations leverage value within Marketing. Skill advices on analysis, design and execution of “Best Practice” in ClickDimensions. Netwise S.A. is the leader in Microsoft Dynamics CRM implementations in Central & Eastern Europe (Reseller of the Year in CEE in 2015, 2013, 2011) and Microsoft Partner of the Year for Dynamics CRM since 2010. With over 90 accomplished CRM projects Netwise have the biggest market share of Dynamics CRM deployments in Poland and the biggest experience in CRM and marketing solutions. Netwise provides full range of consulting and implementation services from CRM strategy consulting through implementation of modern B2B/B2C CRM systems to hosting of business solutions (Software-as-a-Service, Private Cloud). 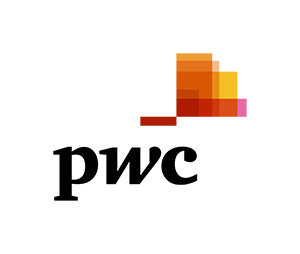 PwC is a leading consulting company in customer experience and customer relationship management technologies implementations, which combines world-class technical skills with a high-integrity work ethic. Our team of highly-educated experts, with years of experience and a cultural fit that works for top organizations, are ready to lead your business through the process of digital change from business consulting to complex deployment of systems and applications. We provide support to companies in Poland, Germany, Great Britain, France, South Africa and the United States. Bizdirect is a Microsoft Gold Partner, specialized in business solutions using Microsoft Dynamics 365 (CRM). We are an experienced team working in a model of Customer Experience (CX), putting the know-how to the service of the mapping, design and management of projects that support the customer in your customer journey. Our goal is to contribute to the digital transformation of our customers! In 2014, we launched our Competence Center, focused exclusively on partners as an extension of their teams in a nearshore model that has been tested with partners in more than 15 countries. Link Management Solutions implements ERP and CRM systems with a particular focus on Microsoft Dynamics platform. The strategy of market approach consists in implementing vertical solutions both in national and international clients which address specific areas of economic activity. Running its activity since 1996, Link Management Solutions is a Microsoft Gold Certified Partner, ISO 9001 and NP 4457 certified. It is the representative of Partner Power International in Portugal, which is one of the largest groups of companies specialized in ERP and CRM systems implementation. Internationally, we are present in Brazil, Angola and Spain (Barcelona and Madrid) with our own offices. Ciclic is a CRM company based in the Caribbean. We serve many industries and focus on success for our customers. Yolva has united a team of high-qualified professionals who specialize in setting up and modifying Microsoft Dynamics CRM and related software. Our main purpose is to offer our customers modern and reliable service in implementation, development and maintenance of Microsoft Dynamics CRM. – the specialized telecom operator to provide tax and accounting Our services are certified by international quality management system ISO 9001-2001 in the field of information systems hosting. FTS Russia offers ERP and CRM systems that are based on well-known products of Microsoft Dynamics AX, Microsoft Dynamics NAV, Microsoft Dynamics CRM and Deltek Maconomy. The numerous successful projects of FTS proved the company as a trustworthy partner that supplies innovative IT solutions. Today FTS is a leading integrator of ERP and CRM systems in Central and Eastern Europe. The services that FTS provides aim to ensure fluent and efficient workflows in customer’s organization through development of a modern enterprise information system. The successful results for each project are guaranteed by FTS team of professionals. KORUS Consulting is an actively growing systems integration company with operations in Russia. The company offers a full range of IT consulting services – from business consulting and enterprise applications deployment to IT outsourcing and complex systems integration. With 500 team onboard in offices in Moscow, St.Petersburg and Yaroslavl, the company has been included in “TOP 100 Best Employers in Russia” list for the third consecutive year. KORUS Consulting is an official partner of the leading international and Russian software and hardware vendors such as EMC, QlikView, IBM, Intershop, Manhattan Associates, Microsoft, OpenText, Oracle, SAP, 1C. With the key focus on retail & distribution, financial services, oil & gas and manufacturing sectors, the company is well positioned to serve our Russian customers with professional IT services and to supply them with best of breed IT products. Navicon is a system integrator and a leading company in IT consulting and project management, with services including budgeting, business analytics, big data management, accounting automation, client relationships, electronic portal and archive development, integration and master data management solutions, and IT rollouts. Navicon is a Microsoft Gold Partner in ERP, CRM and portal solutions, and is a member of the prestigious international Microsoft Dynamics President’s Club, which includes only 5% of Microsoft partners worldwide. Navicon has completed more than 300 successful projects for Russian and international companies such as Caspian Pipeline Consortium, Heineken Russia, Sberbank CIB, Russian Television and Radio Broadcasting Network, Clarins Groupe, Vozrozhdenie Bank, Norvik Banka, Bayer, Sanofi and Belaya Dacha.